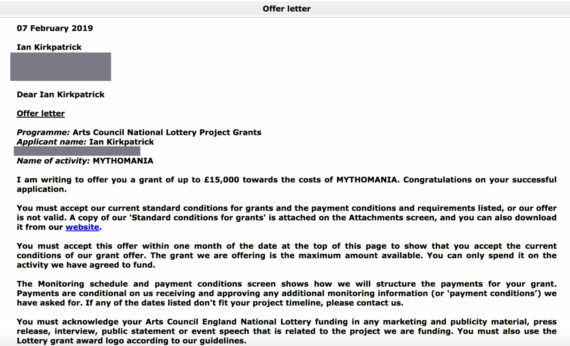 This February I was fortunate enough to win a £15,000 Project Grant through Arts Council England to produce a new series of sculptural and 2D work, exploring ancient and modern myth. 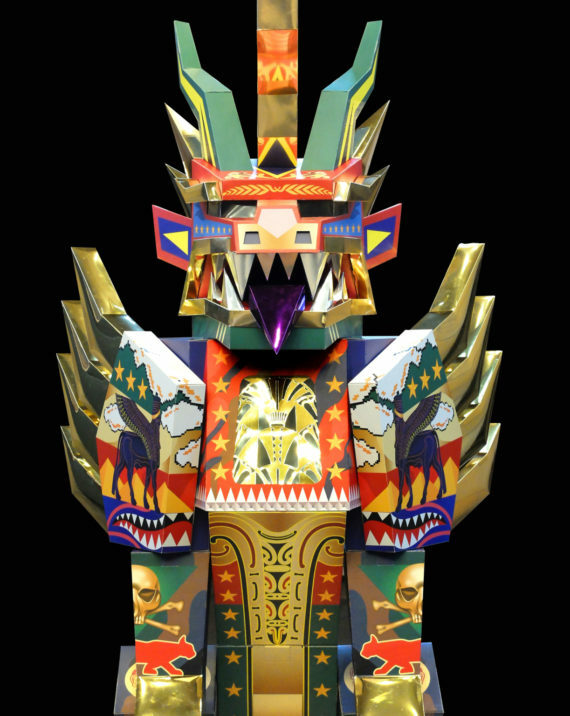 This blog documents the production process for MYTHOMANIA, including the creation of several large-scale sculptural pieces made from industrial materials such as Dibond, Perspex, stainless steel, vinyl and corrugated cardboard. The exhibition opens on 6 July 2019 at 20-21 Visual Arts Centre in Scunthorpe. It’s been a busy few days, now that I’ve finished a sculpture commission for Our Big Picture in Grimsby, leaving me finally able to work pretty much full time on my Arts Council Project Grant. It’s been years since I’ve just had time to create my own self-directed artwork (i.e. outside the constraints of a commission or exhibition brief) and it’s been an amazing experience so far. 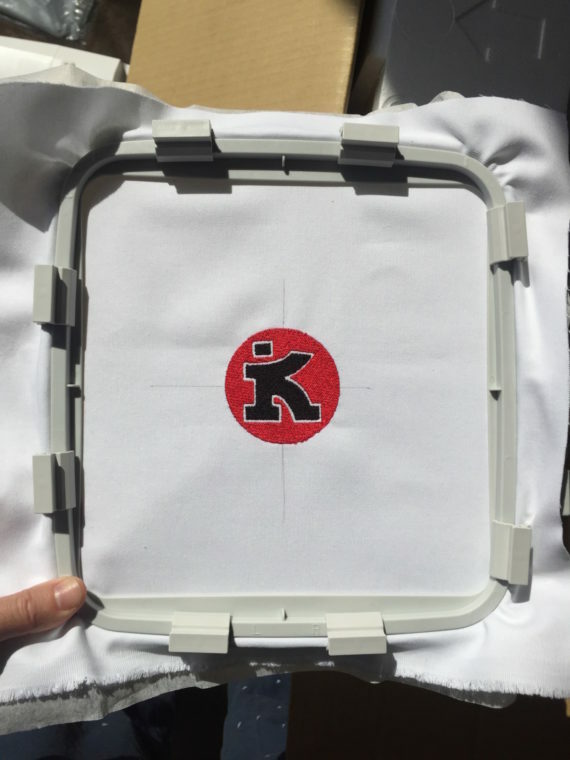 For me the most rewarding part about it is the opportunity to experiment with new materials and processes – something you rarely have the chance to do as part of a typical commission. I’ve been working with packaging materials such as corrugated cardboard for several years now, alongside a few commissions involving Dibond and stainless steel…but what I’ve been wanting to explore for some time is fabric. I’m particularly drawn to the architectures of handbags, running shoes, and other ‘sculptural’ cloth forms typically made from stiffer fabrics. So that’s the core of what I’m going to be experimenting with over the next three months. 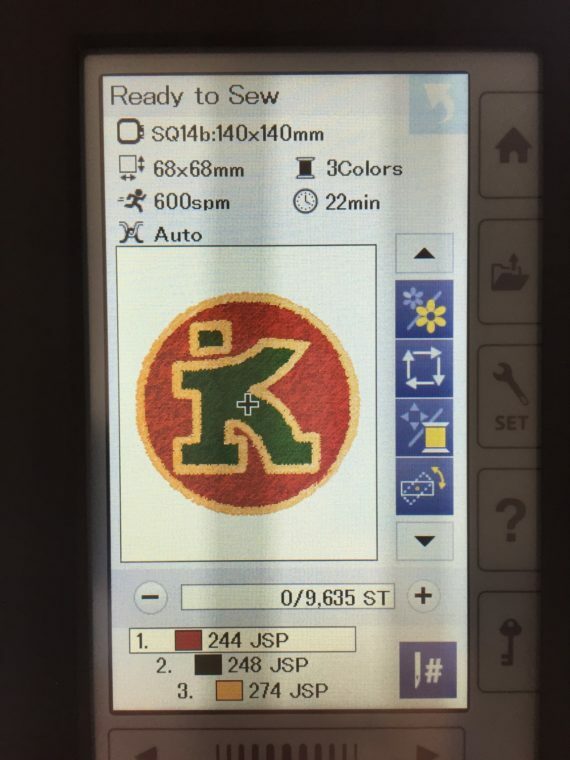 The first major thing I did was take the big step to buy a high-end embroidery machine. 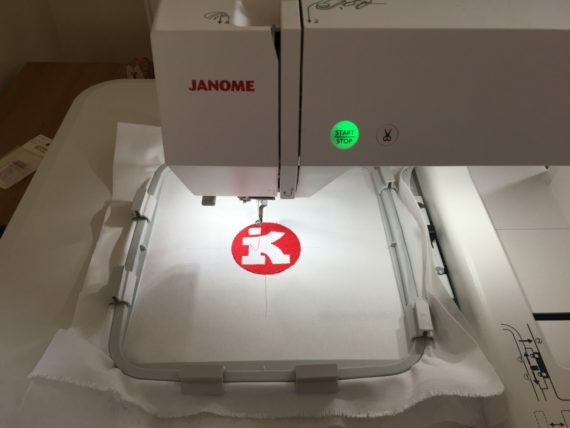 It actually wasn’t part of the grant proposal to involve embroidery…but while shopping for a sewing machine (which was part of the budget) I discovered that they weren’t quite as expensive as I’d thought…and could open up tons of possibilities for me. 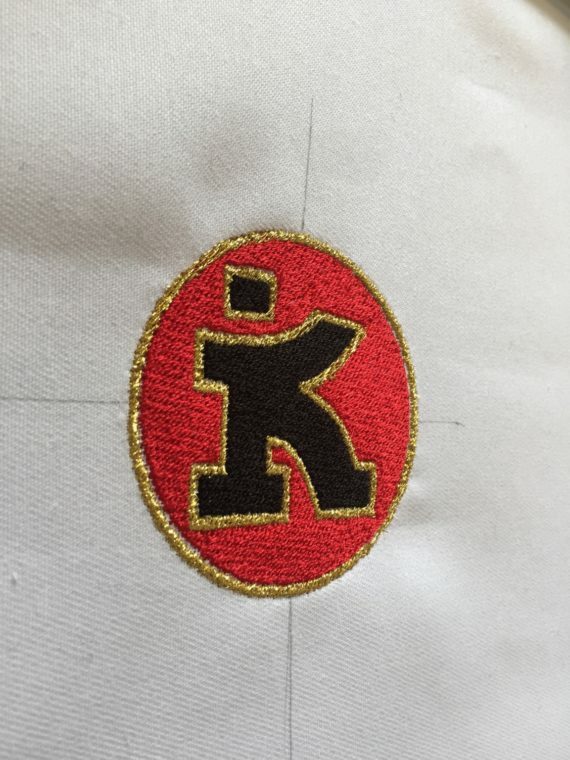 After all, my work typically involves ornate surface designs – so the capacity to translate my iconography into embroidery will hopefully really open up some exciting new creative possibilities.